Available Colors: Silver with Purple, Orange, Lime Green, Royal Blue, Black or Red Trim. Multi-Colored Imprint: Add $.40 per extra color, per piece. Shipping Weight: Cello Bag, 500 per carton @ 19 lbs. Customized Astro LED Light Key Tag Item #HT-127 (Minimum Order: 250). Promotional Key Chains like the Astro LED Light Key Tag can be personalized with your business logo and with No Setup Fees. 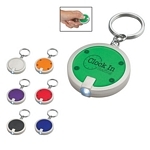 Customized Round Squeeze LED Key Chain (Item #HT-129) is Promotional with a Free Artwork Imprint. Promotional Key Chains like our Personalized Round Squeeze LED Key Chain are decorated with your logo with no setup fees. Customized Swivel Top LED Light with Key Chain Item #HT-128 is Promotional with your business logo for advertising to clients. 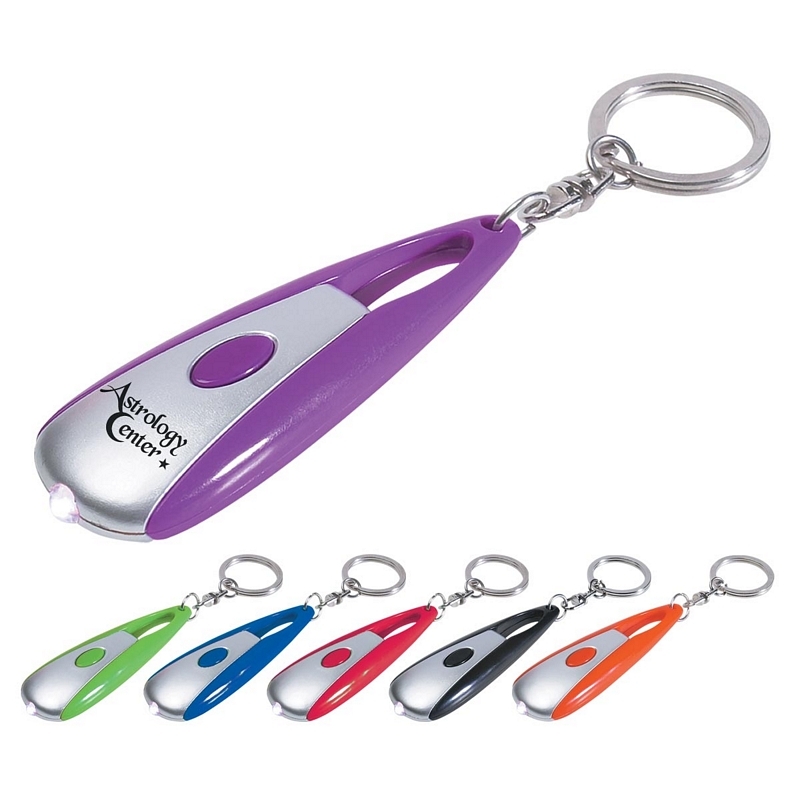 Customized Swivel Top LED Light with Key Chain and other Promotional LED Key Chains are decorated with No Setup Fees. 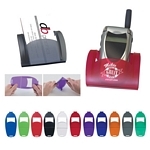 Customized Cell Phone & Business Card Holder Item #HT-138 (Minimum Order: 150). Promotional Business Card Holders like the Cell Phone & Business Card Holder can be personalized with your business logo and with No Setup Fees. 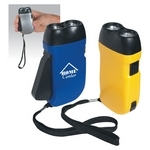 Customized Hand Squeeze Flashlight with Wrist Band Item #HT-142 (Minimum Order: 100). 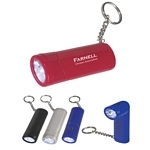 Promotional Customized Flashlights can be personalized with your business logo. Our Promotional Flashlights are decorated with No Setup Fees.